An unintended consequence Westminster's blundering over Brexit has raised the possibility — or at least chatter about — a united Ireland. BBC reporter Jayne McCormack looks at Northern Ireland's quandary ahead of the Brexit vote in U.K. Parliament. Lengthy Brexit negotiations, as well as concerns about the border Northern Ireland shares with the Republic of Ireland, have inadvertently sparked new conversations about the prospects for a united Ireland. As the March 29 Brexit deadline rapidly approaches, parliamentarians have approximately three weeks to formally approve a plan that would allow the U.K. to leave the European Union. A vote in the U.K. Parliament is set for Tuesday. Beyond agreeing on trade deals with current and future European allies, the U.K. must also establish a plan to address the land border between Northern Ireland and the Republic of Ireland. Jayne McCormack, a political reporter with BBC Northern Ireland, has followed Brexit's effects in Northern Ireland, and tells CBC's Day 6 why there's now talk of a vote on whether to re-unite with Ireland. .
Why renew talk of a united Ireland? Concerns about the lack of consensus on an Irish backstop — an agreement that would prevent a hard border between Northern Ireland and the Republic of Ireland — have led residents and politicians in Northern Ireland to consider leaving the U.K. and forming a single Irish nation. Such action is permitted under the Good Friday Agreement, which brought an end to the tumultuous decades colloquially known as "The Troubles." 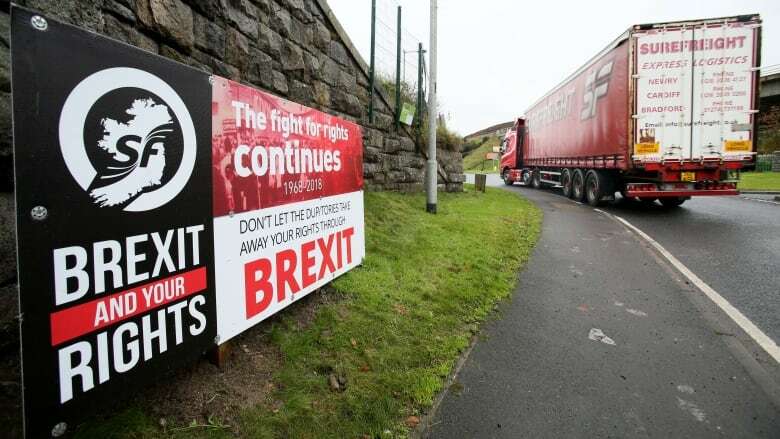 According to McCormack, members of Northern Ireland's second-largest political party, Sinn Féin, support a united Ireland and are among the loudest proponents of a referendum to leave the U.K.
"They've said, if there's a no-deal Brexit in a matter of weeks time, they want there to be a border poll immediately," McCormack told Day 6 host Brent Bambury. What do young, Irish voters think? 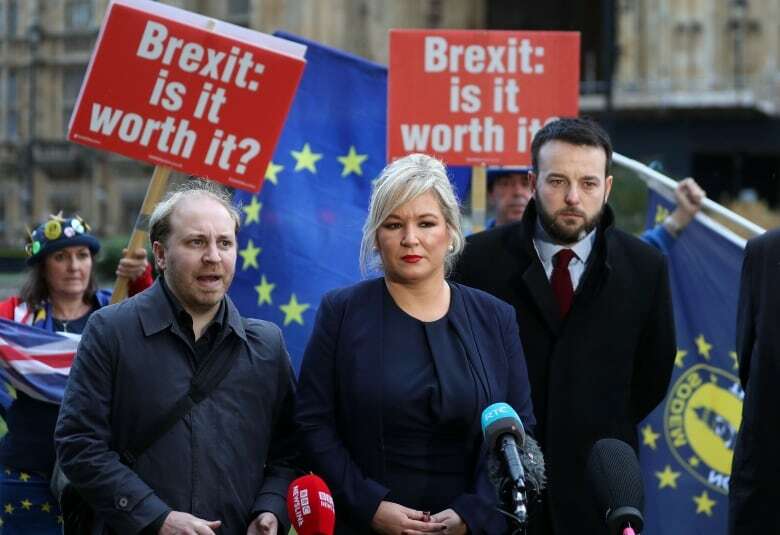 Many Northern Irish voters who weren't eligible to vote in the 2016 Brexit referendum are now coming of age — and according to McCormack, they're unhappy with the events unfolding. For them, older voters unfairly determined their futures with the vote, McCormack explains. That's because many have become accustomed to the benefits of being part of the European Union, like the ability to travel, work and study freely within the EU's member countries. "What you're hearing from them now is that if there is any chance at keeping those benefits, then a united Ireland might be the way to go," McCormack said. What's the outlook on a referendum? Many who lived through the Troubles see any prospect of a vote as a divisive exercise, particularly following Brexit. "Northern Ireland had its last election to its assembly, its Parliament, two years ago and the votes were more polarized, more extreme, than we had seen in at least 10 to 15 years," McCormack said. 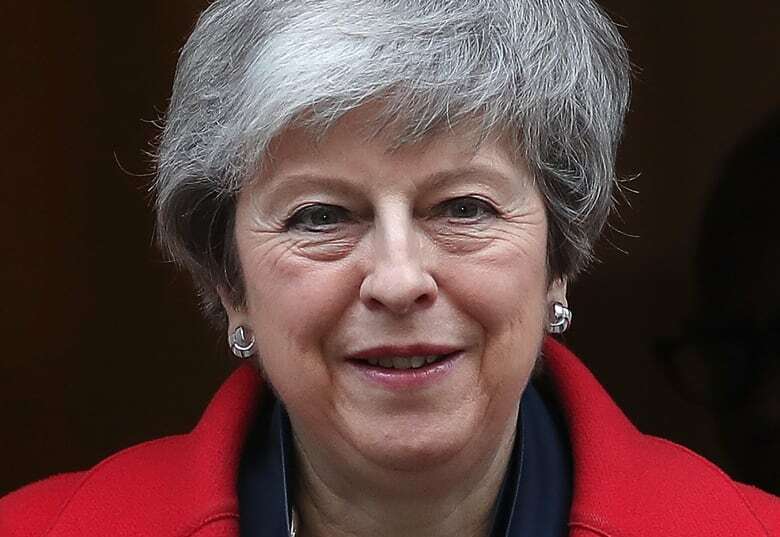 Ultimately, McCormack said the decision for a referendum comes down to Northern Ireland's Secretary of State Karen Bradley, a Conservative minister in Theresa May's government. Under the Good Friday Agreement, it's her responsibility to call a referendum if she feels, at any point, that a majority of citizens in Northern Ireland would vote in favour of a united Ireland. But even though McCormack believes it's often talked about around dinner tables in Northern Ireland, she cautions: "There's no sense of it happening and the government hasn't said it will call one anytime soon." To hear the full interview with Jayne McCormack, download our podcast or click the 'Listen' button at the top of this page.